Can we get a round of applause for Rihanna? The slayage that took place on her Instagram last night (September 2)? 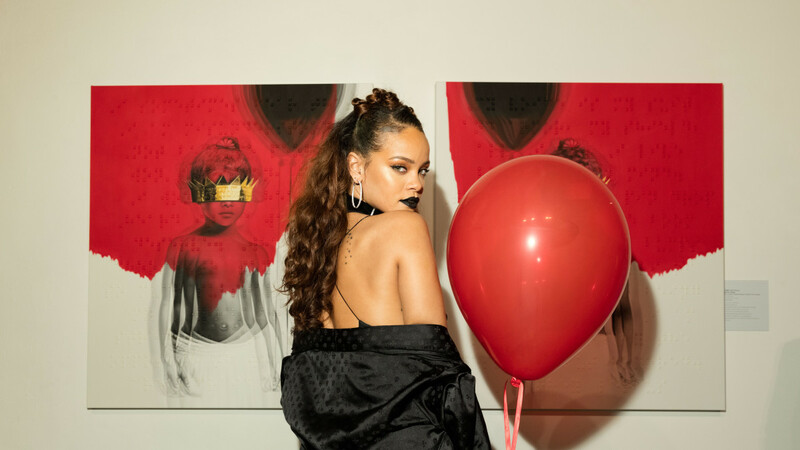 The pop superstar and fashion icon took to the social media site to give followers a sneak peak of why she is the baddest gal in fashion. @BadGalRiRi posted several snaps from the latest Dior campaign, shot by photographer Craig McDean, where she, once again, proved herself to be of supermodel status. Queen Fenti looked ravishing and royal in a see through mesh bodycon dress, full length mesh overcoat, and black pointed toe boots with a flash of pink on the chunky low heel. CLASSIC! RiRi also showed off her playful side in a body hugging geo print body suit that would make you think of the leading lady in nothing but skin. Dior skin, that is! This brand x celebrity mash up is simply everything as Raf Simmons can do no wrong as creative director of the prestigious luxury fashion house. The best part of all of this is one that goes much deeper than sultry IG pictures, because this campaign solidifies the “American Oxygen” singer as the brands first black campaign star ever. First seen in Dior’s Secret Garden fragrance campaign, filmed by Steven Klein in the chateau and gardens of Versaille, Rihanna makes history once again breaking barriers for black women in the fashion industry. As for Dior, Raf Simmon’s link to youth culture and underground music, as noted in an interview with the BusinessofFashion, makes total sense as to why Rihanna is the perfect choice for the campaign. Sophisticated, refined and playful at the same time; her encompassing glamour and modern excess highlights her timeless sense of femininity thus the Dior women. We are itching to see more from this campaign and give props to Dior for embracing the beauty in all females of all races. Take a look at the images yourself here.